When Does Vintage Matter Most? A wine’s vintage is simply the calendar year that the grapes were grown and harvested. Neatly tagged on bottle labels, the vintage year represents one clue, among many, as to what’s going on inside of a particular bottle. Think of a wine’s vintage year as its birth year, and while we may associate certain events from a given year personally, producers tend to recall tricky weather patterns from a demanding year first and foremost. A wine’s vintage is a collective mirror of the weather patterns, vineyard management and state of the vine in each growing season, with climate conditions typically playing the biggest role in determining what kind of crop rolls through the cellar doors at harvest. If vintage reflects a region’s weather patterns in a given year, then what makes a vintage good or bad? It often boils down to sunshine. Similar to “good” or “bad” vacation weather, the best vintages have plenty of dry, warm, sunny days with cooler, sweater-themed evenings. It’s these sunny, happy weather days that give grapes the best chance of reaching full maturity and optimum ripeness levels. These cheery growing seasons carrying sunny days and cool nights are the vintage years that typically garner the best ratings. If a region is bogged down by constant clouds and rain in a growing season, then the grapes are less likely to fully ripen, may be more prone to rot and disease, and tend to deliver skewed sugar and acidity levels if soggy conditions persist through harvest. These are the years where winemakers must work their magic in the cellar to keep the final wines intact. Keep in mind, certain grape varieties crave specific climates. Riesling prefers the cooler climes of Germany’s more northerly latitudes where acidity levels remain quite high. While, Cabernet Sauvignon’s roots dig deep in sunny, warm soils, and these thick-skinned grapes tend to thrive in California’s long, historically warm growing season. Under-ripe grapes – Typically coming from cooler climates, these under ripened grapes lean towards lighter styles of wine and vinify into lower levels of alcohol while carrying less pronounced fruit character. Well-ripened, mature grapes – These grapes are perfectly poised to produce wines that show balance in terms of sugar, acid, tannins and carry their fruit and aromatic character particularly well. Crazy Climates: Vintage matters most in winegrowing regions with the least consistent weather patterns. In general, many of Europe’s more northerly winegrowing regions (France, Germany, Austria, Northern Italy, Northwest Spain) are subject to more meteorology madness than the New World’s sun-drenched surroundings. From late spring frost, where entire vineyards can be taken out before bud break begins to severe hail knocking buds off the vine before they have a chance to set fruit, to excessive rainfall near harvest, which dilutes innate sugar and acidity levels, wicked weather can quickly take its toll on the vine. Ironically, France the iconic birthplace of modern wine is home to some of the least predictable runs of weather. Bordeaux, located 30 miles southeast from the harried Atlantic coastline, is notorious for battling all sorts of weather-induced mayhem, especially as the fall harvest draws near. Likewise, Burgundy’s bud break is often the target of regional spring hailstorms that wipe out flowers before the fruit ever has a chance to set. Collecting Wine: Vintage matters most when collectors are buying wine to age. The best vintages create wines that carry high levels of tannin and acidity, both are must-have preservatives when considering the age-worthiness of a wine. That’s why high-end reds from Bordeaux, Burgundy, Tuscany, Piedmont, Rioja, the Douro and New World regions like California, Washington, Australia, Argentina and Chile from the best vintage years have the greatest aging potential. In the case of white wines, Germany’s high end Rieslings, Champagne’s vintage bubbly, along with premium white wines from the likes of the Loire Valley, Alsace, Alto Adige and Burgundy all pin their aging potential on the quality of the vintage. Consistent Climate Zones – International winegrowing regions with calm, consistent, warm weather packed with plenty of sunshine tend to produce wines that are also consistent themselves, with little vintage variation from year to year. Budget Bottles – High volume, commercial wines shoot for consistency year in and year out. Vintage variation is significantly reduced by the careful management of a wine’s key structural components like pH levels, alcohol, total acidity, and levels of residual sugar. Non-vintage (N.V.) wines are essentially a blend of various vintages and won’t carry a specific vintage year on the bottle label. Examples include many sparkling wine and Champagne bottles, several fortified wines like non-vintage Port, Sherry and Madeira along with some inexpensive high volume still wines. Current Vintages to Know (and love): The last several years have produced high quality fruit for many New World regions. Australia and New Zealand carried out 2015 with smaller yields and exceptional quality, and the Old World icons of Bordeaux and Burgundy packed a strong regional run for the last six years. Keep in mind, vintage years serve as an initial indicator, a happy, helpful guideline when scouting for wines. There are very few vintages that could qualify as so poor as in it’s worth avoiding the year as a whole. 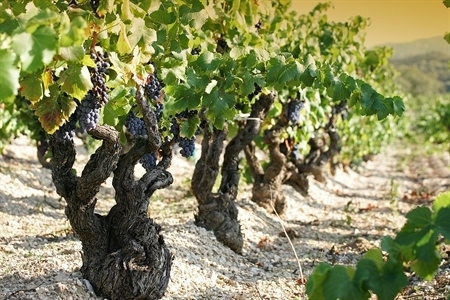 In fact, producer reputation, vineyard vigilance, and winemaker interventions can often balance and carefully redeem rough weather conditions.